This is an excellent book to turn you into a SQL professional but not an expert. This isn’t a book for complete beginners but for a person with some experience with databases. 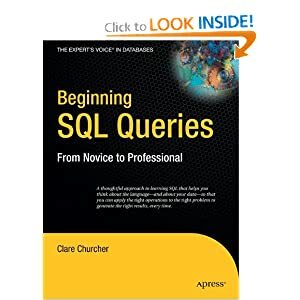 In other words, someone around the beginning to intermediate level because this book is all about SQL Queries and not how to setup, maintain and configure your database system. Anyhow, this book focuses on SQL and not a specific Relational Database Management System (RDBMS). So check out another book if you’re primarily focused on Oracle, MySQL or any other RDBMS. 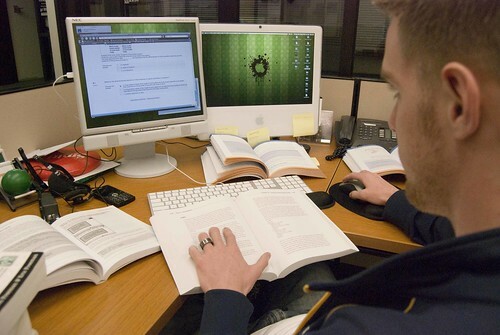 However, she does go over a few differences between vendors when it comes to SQL queries. I bought this book to review SQL and clarify a few concepts. Now after finishing this book, I feel that my goals has been reached. I really enjoyed this reading this book, because Clare is an effective writer who provides clear and concise examples with helpful explanations. For example, she provides annotations on screen captures of tables from Access and MS Server instead of only writing a description of a query. Even though the chapters were short and fast-paced, I was never stretching my head too long to understand what was going on. The only negative thing about this book is the queries don’t have any semi-colons at the end. I recommend this book for anyone taking a database course or anyone who wants a simple overview of SQL. All the table example data is listed after chapter 11. I suggested that you store that in your database before reading this book and so you can follow along easily.